Including ancient maps of dragon-filled seas, devious maps created by spies, and maps from pop culture such as the schematics to the Death Star and a map of Westeros from Game of Thrones. 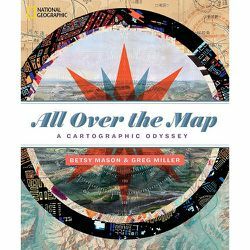 If your brain craves maps--and Mason and Miller would say it does, whether you know it or not--this eye-opening visual feast will inspire and delight. 9 1/2" x 2 1/2"